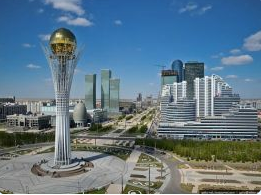 The World Rapid and Blitz Chess Championship 2012 will take place 1-10 July in Astana, Kazakhstan. A total of 16 prominent Grandmasters will participate for the prize fund of 400 000 USD. For the games in the World Rapid Chess Championship each player will have 15 minutes + 10 seconds additional time per move, starting from move 1. The Final Tournament will be played in three days as a single round-robin event, 5 rounds per day (or 15 rounds in three days). Here are the participants in the final. The final tournament consists of 16 players. Three other players will qualify for the respective Blitz or Rapid Finals from the Semi Finals to be held between the 1st and 4th July 2012. One nominee of the FIDE President is also expexted. d) Sudden death game 5’-4’. The tournament final consists of 16 players. The time control for the World Blitz Chess Championship for each player will be 3 minutes + 2 seconds additional time per move, starting from move 1. The Final Tournament will be played in two days as a double roundrobin event, 15 rounds per day (or 30 rounds in two days). The Semi-Final Tournament shall be played in one day as a Swiss tournament, 11 double rounds black and white, altogether – 22 games. This makes a total of 52 blitz games for each of the players that qualify from the semi finals.